About 20 million Americans suffer from some form of thyroid disease or disorder, according to the American Thyroid Association. Also, women are five to eight times more likely than men to have some kind of thyroid problem. These statistics show that thyroid problems are very common. There are many types of thyroid disease. The conditions that affect most people are hypothyroidism (underactive thyroid) and hyperthyroidism (overactive thyroid). However, up to 60 percent of those with thyroid disease are unaware of their condition. This is why it is important to understand the role of the thyroid gland and how any dysfunction can affect your body. 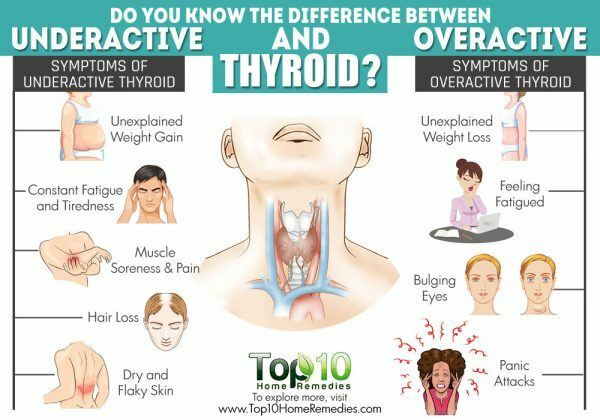 What do you mean by underactive and overactive thyroid? How is an underactive thyroid treated? How is an overactive thyroid treated? The thyroid is a small, butterfly-shaped gland located in the middle of the lower neck, just below your larynx. This gland produces thyroid hormones that affect the functioning of every cell, tissue and organ in your body. These hormones help regulate your heart rate, blood pressure, body temperature and the rate at which food is converted into energy. The thyroid gland needs iodine to make several hormones. The two most prominent ones are thyroxine (T4) and triiodothyronine (T3). Thyroid-stimulating hormone (TSH) produced by the pituitary gland stimulates hormone production by the thyroid gland. Another important hormone made by the thyroid gland is calcitonin, which plays a role in calcium homeostasis. When the thyroid gland is not working properly and produces more or less than the required hormones, it can lead to either underactive or overactive thyroid. Underactive thyroid: Also known as hypothyroidism, this condition is marked by reduced activity of the thyroid gland. In simple terms, it means there’s a lack of sufficient thyroid hormones circulating throughout the body. This slows the metabolic activity within the body. Overactive thyroid: Also known as hyperthyroidism, this condition is marked by abnormal increase in the activity of the thyroid gland. 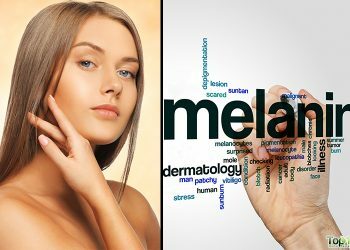 In simple terms, it means an excess of thyroid hormones circulating in the blood. This speeds up the metabolic activity unusually within the body. 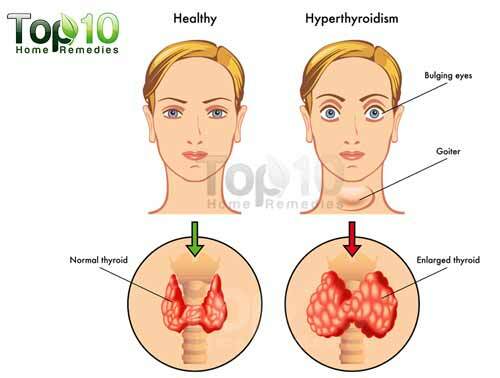 Hypothyroidism is much more common than hyperthyroidism. Both problems are usually diagnosed by a blood test measuring the level of T3, T4, and TSH (thyroid-stimulating hormone) in the body. Low thyroid hormone levels contribute to a lower metabolic rate, which in turn causes excess weight gain despite decreased appetite. Fatigue and extreme tiredness is another symptom of hypothyroidism. This happens when cells do not function properly because of low thyroid hormone levels, which in turn cause less energy, fatigue and constant tiredness. Menstrual as well as fertility problems are also common in women suffering from hypothyroidism. Low levels of thyroid hormones weaken the muscles lining the digestive tract, which in turn causes indigestion or constipation. As proper function of the thyroid gland is important for regulating body temperature, its poor functionality can lead to increased cold intolerance. Low levels of thyroid hormones slow down your metabolism and even reduce sweating, which can make the skin dry and flaky. An underactive thyroid increases inflammation in the body, leading to muscle soreness and joint pain. For development and maintenance of the hair follicles, proper thyroid hormones are essential. An inadequate amount of these hormones can result in slow hair growth and hair loss. Insufficient thyroid hormones can affect your neurotransmitters, which may lead to forgetfulness, poor memory and concentration-related issues. Inadequate thyroid hormones affect the body’s ability to break down and clear cholesterol from the bloodstream. This leads to high cholesterol in the body. Sudden weight loss despite an increased appetite is one common symptom of hyperthyroidism. The high amounts of T4, T3 or both can cause an excessively high metabolic rate, leading to increased burning of “fuel” in the body. High levels of thyroid hormones in the body activate the sweat glands, which leads to increased sweating. In spite of the increased sweating, your body just cannot tolerate heat. Also, this makes your skin feel warm and moist. Initially due to the increased metabolism, your energy level remains high. However, as hyperthyroidism continues, your body tends to break down, leading to fatigue and tiredness. High levels of thyroid hormones may also cause sleep disturbance, leaving you exhausted during the day. Protruding or bulging eyes is also common in patients suffering from overactive thyroid due to Grave’s disease in which the upper eyelids are elevated. Mild tremors are a common phenomenon in everybody when the hands or forearm are held in a particular position. But overactive thyroid causes exaggerated physiological tremors, leading to hand tremors or shaky hands. Excess amounts of thyroid hormones can lead to muscle fibers breaking down faster than they can be replaced. This can cause weakness in muscles all over your body, especially in the upper arms and thighs. The release of excess thyroid hormones speeds up your heart rate dramatically, increase your blood pressure and stimulate your body’s fight-or-flight adrenaline response. This in turn leads to anxiety, irritability and nervousness. High levels of thyroid hormones in the body can delay the onset of puberty and the onset of menstruation in females. It can even cause changes in menstrual patterns. As hair growth depends on the proper functioning of the thyroid gland, abnormally high levels of thyroid hormones can result in hair changes. 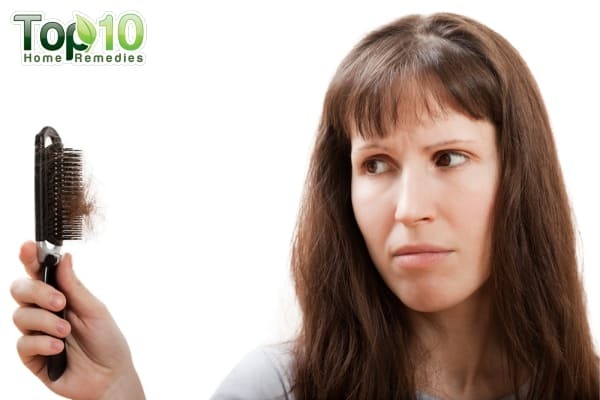 It can make the hair on your head become fine, with thinning hair just on the head. Also, the scalp becomes too dry. The most common cause of hypothyroidism is an autoimmune disease called Hashimoto’s disease. In this disease, the immune system makes antibodies that destroy thyroid cells and stop them from making the thyroid hormones. Other causes of hypothyroidism include genetics, a low-iodine diet, congenital hypothyroidism, thyroiditis and damage to the pituitary gland. Radiation exposure from cancer treatment, certain medications and surgical removal of the thyroid can also lead to this problem. Women over age 50, people with autoimmune diseases, people treated with anti-thyroid medication and people with a history of radiation to the neck and upper chest are at a higher risk of suffering from this condition. Untreated hypothyroidism can lead to many health complications, including a goiter (enlarged thyroid gland), heart problems, depression, peripheral neuropathy, edema, infertility and birth defects. Graves’s disease, an autoimmune condition that stimulates production of the T4 and T3 hormones, is the most common cause of overactive thyroid. 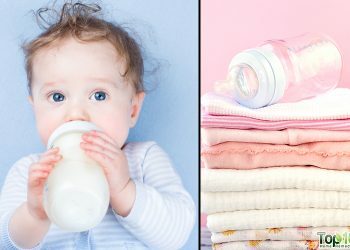 Other causes include excess iodine intake, inflammation of the thyroid (thyroiditis), tumors of the ovaries or testes, benign tumors of the thyroid or pituitary gland, and excess intake of tetraiodothyronine through dietary supplements or medication. Hyperthyroidism tends to run in families and is more common in women than men. If not controlled in time, excess thyroid hormones can lead to a number of health complications, including heart problems, weak bones, poor eyesight, swollen skin and thyrotoxic crisis. To treat hypothyroidism, doctors often prescribe synthetic thyroid hormones (levothyroxine). This oral medication restores adequate hormone levels, when taken in the right dose. At the same time, alternative treatments such as coconut oil, apple cider vinegar, fish oil, kelp, ginger and vitamin D-rich foods can help restore the normal thyroid hormones. Anti-thyroid medications, such as methimazole, help stop the thyroid from making excess hormones. Even radioactive iodine (taken orally) is effective at treating this problem. If neither of these options work, a section or all of your thyroid gland may be surgically removed. Dietary changes can also help control hyperthyroidism. 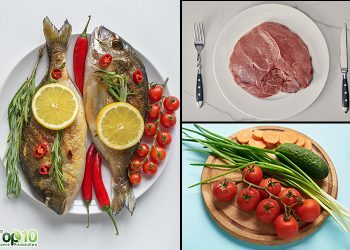 Eat foods that provide enough calcium and vitamin D along with protein-based foods and sea vegetables.